For me MSM coverage that the CIA published a 4chan troll that the Obama Administration used a fictional dossier to get a secret wiretap on a political opponent. That El Presidente Trump has called out Adam Schiff as a leaker and lawbreaker confirming a q post verbatim from a month ago. .... and Assange getting Ecuadorian citizenship and getting out of the UK (Hopefully). ... and a reopening of the Hezbollah Laundering scheme investigation. Having worked at several airports, I can say with certainty that transformer fires happen, especially if they are oil filled (coolant). Just pray you are not anywhere near it when it happens, the one I heard sounded like a car bomb just went off!! I just had the crazy theory that there is something under those Airports that is getting "smoked" out. Nobody is ever getting hurt when these accidents happen or am i incorrect? Oh my gosh, have you ever heard the theories about the Denver Airport ? lol...what the heck, we might as well throw in another Conspiracy theory into this thread ! Weren't there strange connections with Schiff's wife earlier in this thread? Interesting thanks. Well if you need a cover story to build something like that "renovations" are pretty perfect and inconspicuous. You can claim it is to dangerous for any unauthorized personell to wonder about and nobody will look twice. Hiding in plain sight comes to mind. Then, you run "over budget" ... because you're building stuff no one publicly planned for, but who's counting. 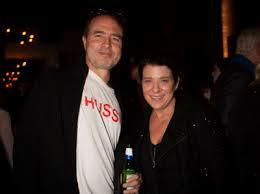 Is Adam Schiff related to the ex-wife of George Soros' son? Billionaire George Soros’s son Robert and his estranged wife Melissa Schiff are at risk of forfeiting their entire art collection — including pieces by Jeff Koons and Christopher Wool — if they can’t agree on its value, his lawyer said. The former couple were in Manhattan Supreme Court Wednesday for the opening day of their $350 million divorce trial.